The latest night street league results are on line here. The next street league is taking place from the Strawberry Gardens Pub in Heysham. To cater for the numbers expected they would like you to pre-order your food from their MENU. Please e-mail the Organsier your choices by Thursday 7th Jan. Details for the event will soon be available via the fixtures list. 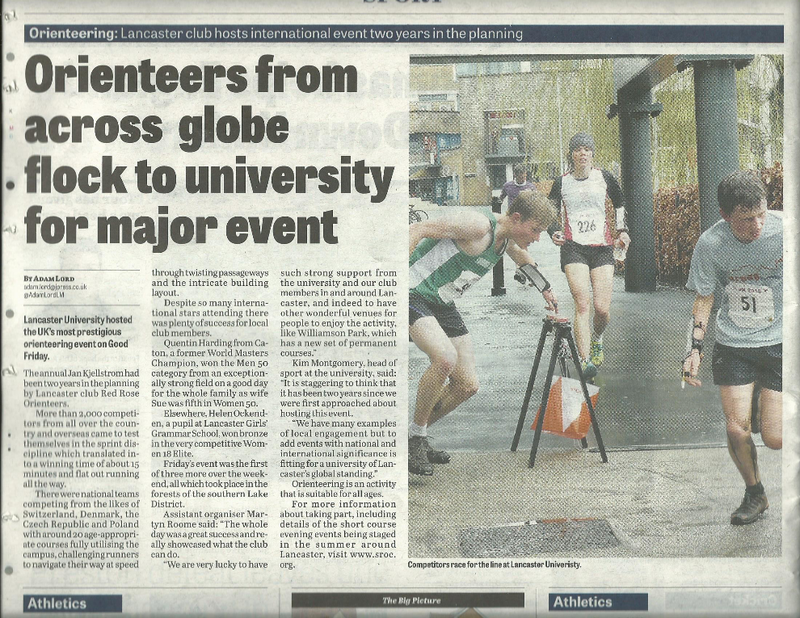 Another new area and map, and another warm dry night were enjoyed by runners at the Wigan West event last night. Thanks to DEE member John Embrey for putting on the event. RouteGadget is now ready for routes to be added. With the aftermath of the floods still affecting travel, and more bad weather forecast, the Ambleside urban night event scheduled for this evening is cancelled and will be rescheduled in the new year. 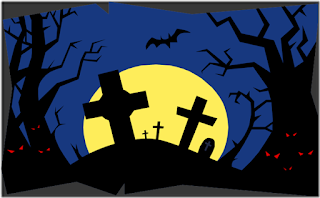 The Postponed PFO night event is now pencilled in for Saturday 16th January. This is the same day as the SROC Club Handicap at Low Park Wood (not 16th June as in the latest Newsletter!). The Handicap will be timed to allow SROC night O enthusiasts the chance of competing in both events. Due to the extreme weather forecast received today for Saturday 5th December, PFO has decided to CANCEL / POSTPONE the Nick O'Pendle event on Saturday night. The peak of the passing storm coincides exactly with our event. Heavy rain and high winds averaging 50mph, gusting 90mph. However our daytime Level-C event on Sunday 6th on Pendle Hill (from Barley) will go ahead as the forecast is for sunshine and winds from 10mph to 35mph. Since the Nick O'Pendle event is fully planned with maps printed we will find another date in the programme. Results for the most recent Night Street League event may be viewed here. The last event of 2015, and 5th in the series of ten, will be at Wigan on Wednesday 16th December. Santa hats are optional, details here. We are a bit spoiled this year with new or extended maps. This evening's event had a lot of Preston not previously run on in a street event, and included the City Centre. The venue seemed popular and the weather was kind. RouteGadget is now ready to receive your route. Congratulations to Jane Anthony, Women Vets champion 2015 in the UK Urban League. Details of the Autumn Saturday series which starts on 12th Septembers and includes optional free coaching sessions may be viewed here (pdf). Preliminary details of this year's inter-club competition final have been posted here. SROC is hosting the event at Helsington Barrows near Kendal, and has also qualified to take part in the Trophy competition for small clubs. Entry for the scoring courses is via club captains of qualifying clubs, who will be contacted directly by the organiser Brian Jackson. SROC members please expect to do your bit on the day, both as helpers and of course as points scorers! 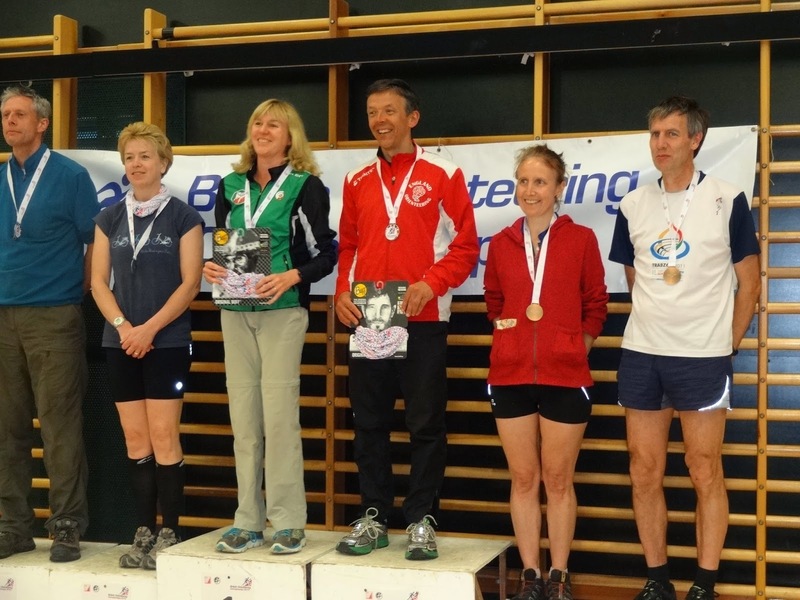 The biennial Scottish 6 days orienteering competition is in full sway. Follow SROC members taking part via the official website. Results for event number 4 in the Summer Sprint Series may be viewed by following these links: Prologue Final Overall. league scores to follow, all now hanging on the final event at Lancaster University on 7th July. 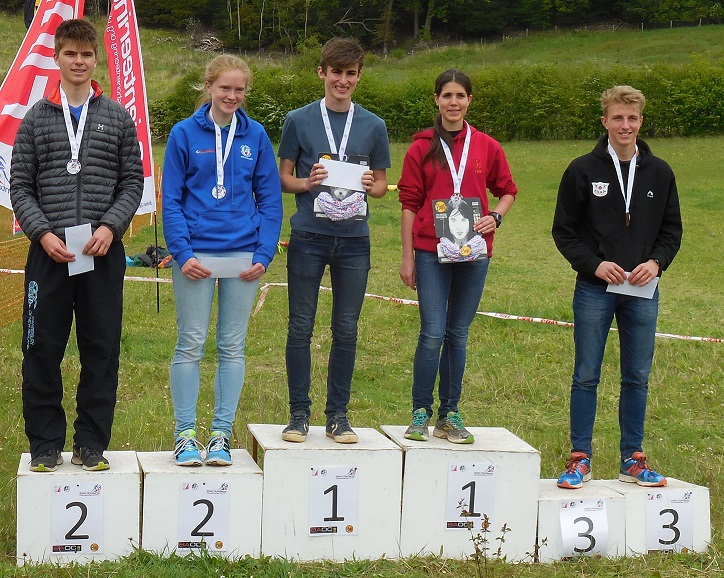 The league tables for the SROC Summer Sprint Series have been brought up to date including three events, and may be viewed here. With another two events to go there could still be some dramatic leadership changes in the various age classes. Remember it's the best three scores to count, and organisers receive an extra score equivalent to the average of their best two. Next event is on Monday 29th June, at Salt Ayre & Scale Hall in Lancaster, followed by Lancaster University on Tuesday 7th July with the prize giving taking place at the annual Club Picnic event at Myerscough College on Saturday 11th July. RouteGadget for Williamson Park is now ready - please add your routes! A good turnout enjoyed some fiendish course setting at Williamson Park in Lancaster this evening. Results may be viewed by following these links: Prologue Final Overall. RouteGadget and league scores will follow tomorrow. A few new players entered the fray at last night's event, making the league scores more interesting! There are another three events to go and your best three scores count, so still plenty of chance for changes in every class. Latest league table is here. 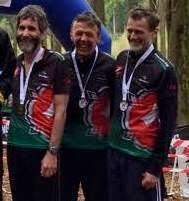 I may be biased but I reckon that was an excellent event - classic long distance orienteering on highly technical Lakeland fells, giving an opportunity for M21s and W21s to really test themselves on M/W21E type courses, and for everyone else to follow exhausted in their wake doing longer courses than they are used to. Proper orienteering! Our Equipment Officer, Ray Pickett, is anxious to determine the whereabouts of the one minute countdown timer, as used at event starts, which is currently not in the equipment store. Please check your garages, sheds or car boots to see if you are looking after it as it is needed for the JK. Please contact Ray if you find it. This long distance mass start event took place in glorious sunshine today, to the enjoyment of all of the competitors who had been set a suitably tough challenge by planner Alex Finch. Results may be viewed here and RouteGadget is available here. Please note that due to the size of the map RouteGadget may take a while to load on slower connections. 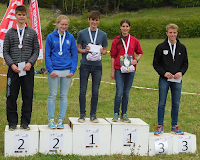 The trophies were awarded to Hector Haines (Open Men), Rebecca Rooke (Open Women), Quentin Harding (Vet Men) and Karen Parker (Vet Women).Top juniors in classes C & D were Alastair Thomas and Lucy Haines. RouteGadget is now ready to add your route from last night. Rerun the whole mass start event on screen! The ever popular SROC Street League ended the 2014-15 season last night with the now traditional mass start handicap event, this time on the area surrounding the Anderton Arms, Fulwood. 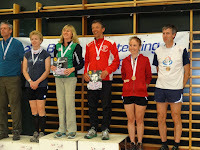 Series supremo Bob Nash pulled off another great event and organised a swift prize giving afterwards. We were honoured to have Dave Simpson to present the awards. Dave joined the South Ribble Fell and Mountain Rescue Team, from a fell walking background, in the early 60's and then was present when they formed SROC in Dec '64. He is 80 this year and now cycles and until recently was still fell walking. Our photo (credit: John Britton) shows Quentin Harding receiving his Preston Guild Trophy from Dave. Quentin also collected the first male and overall trophies. 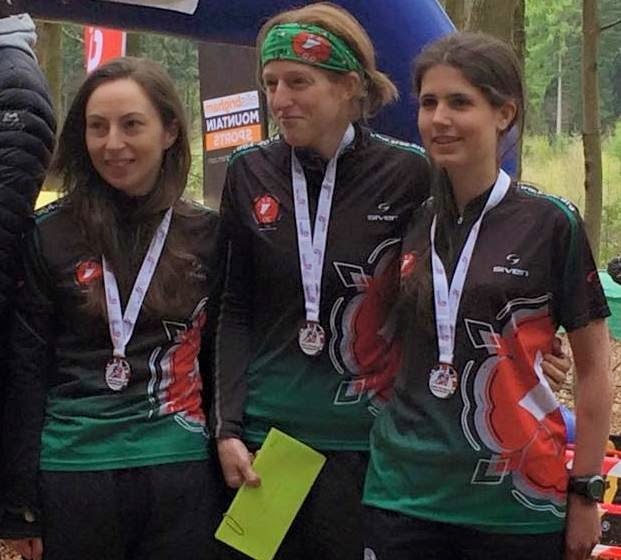 First female was Karen Nash, best newcomers were Mary-Kate Kidd and Luigi Lerose and top pair Tracey Peters and Steve Mclean. Josh Sammon won best under 18. 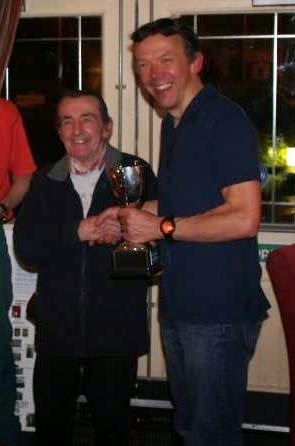 Handicap winner on the night was Jill Cochrane. More of John's photos in the Gallery. On-line entries for the Tim Watkins Trophy on Sunday are now closed. However there are limited numbers of maps available for entries-on-the-day. If intending on entering late please contact Dave Hargreaves to check on availability and to reserve your map. The Final Details have been updated, please make sure you read these if entering. Congratulations to all SROC runners taking part in today's CST qualifier hosted by WCOC at High Rigg. SROC scored highest in the Trophy competition and thus secured a place in the final which is good fortune as we are also the organising club for that event! (3rd places) Miriam Rosen (Veterans Short Green), Thomas Somers (Blue Men), Luigi Lerose (Men Open), Mike Johnson (Short Brown). Full results available on the WCOC website. Anyone interested in attending the special prize giving event in Fulwood should read these details. SROC is grateful to members of SELOC who staged the last event in the 2014-2015 night street league from a new venue in Bolton last night. RouteGadget is ready for you to add your routes. The Grand Finale of the series is next Wednesday in Fulwood, with a mass start and cunning handicap system which means anyone could win! Final details for the Blodslitet event on Sunday 22nd March are now available here. Entries for this long distance, mass start event are still available via Fabian4. Don't miss this chance for head to head racing across some of the Lake District's premier open fell terrain. 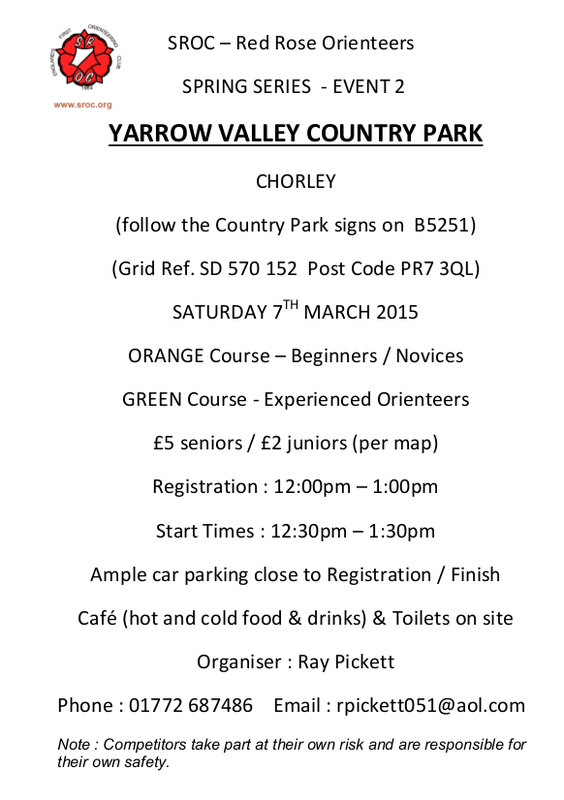 The Spring Series lived up to its name with balmy conditions on the warmest day of the year so far at Yarrow Valley Country Park, Chorley. Results for the event are here and RouteGadget is here. The latest tables can be viewed here. Please check them carefully and let me know asap of any errors. The final counting event of the series is at Bolton West and after that the table and certificates will be finalised. 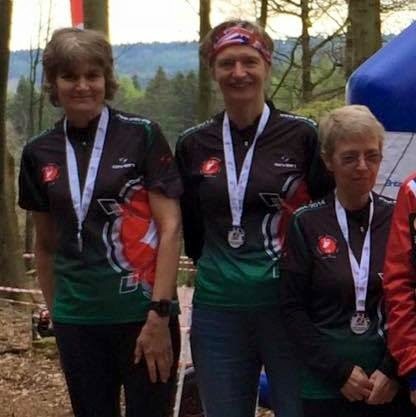 SROC success at the British Night Orienteering Championships held in Leeds yesterday: Quentin Harding M50 champion and third places for Heather Gardner (W21), Sue Harding (W50) and Miriam Rosen (W65). Results are on the AIRE website.